I finished reading The Christian Delusion ed. by John Loftus recently. I had a number of disagreements with chapters in this book, but the most prominent one is with how Loftus articulates his “Outsider Test for Faith” (OTF). He frames it in an extremely unreasonable way (strange, since people of Loftus’s rank often make reason the king of everything, nearing the point of worship). Initially, he says that ince there are many cultures and religious viewpoints people are born into, there’s a likelihood yours is wrong, and you need to examine it as though you were an outsider from that religion. Fair. But he goes on to say, “I’m asking believers to change their assumptions and/or become agnostics. This is what I call the ‘default position.’” (Kindle Locations 1036-1037), And “The only thing we can and should trust is the sciences. Science alone produces consistently excellent results that cannot be denied, which are continually retested for validity.” (Kindle Locations 1050-1051). This is bad epistemology. Is agnosticism axiomic? To overcome cultural biases and subjective opinions to find Truth, does one need to leave aside belief in the transcendent totally and be a pure naturalist? Does a Christian have to stop believing in God, the Bible, prayer, and everything else to find if the Christian faith is true? Does a Muslim need to do the same (except stop believing the Quran)? Or a Sikh? Or any other religious person? While I think the concept of an Outsider Test for Faith is actually a good idea (which, contra Loftus, could pass Christianity) when researching religions, I don’t think you can make blanket eliminations of epistemologies like that. You must avail yourself of whatever epistemology the religion you’re studying holds dear to determine the truthfulness or falsity of it – if not, your race horse is dead out of the gate. You don’t even give it a fighting chance. By throwing out a religion’s epistemologies to use only your personal, narrow, western, culturally defined epistemology (science), in effect you’ve already decided the religion is not true prior to your journey of study, making your study no longer objective, and therefore subjective and biased. Mr. Loftus is parameterizing the discussion to the philosophical position of Atheism and Naturalism, throwing out entire ways of knowing something as invalid already, a priori. This is anti-intellectualism on level with the worst of religious fundamentalism. You should use the epistemologies inherent within the Christian faith, and see whether they hold up to their own standards, besides scrutinizing those epistemologies themselves to see if they fit with all the others. Christianity has something to say about how you find truth, and it would be unfair in any test of the veracity of Christianity to leave these out: prayer, seeking God, the spoken revelation of God (the Bible itself), the work of the God’s Spirit on the human heart, prior assumption of a revelatory God, and of course the broader epistemologies of reason, experience, etc. that are also found in the Bible. But this goes for testing any faith. For Islam, you need to avail yourself of Islamic epistemology. Same with Buddhism and the others. Without doing this, it’s like testing to see if Einstein’s E = mc2 is really true but taking out m. Or saying I’m going to test if evolutionary theory is true but you can’t have natural selection, or biology, or genetics considered at all. You never even give the belief system a chance. Loftus says, “With the OTF I’ll argue that we should adopt a skeptical predisposition as best as possible prior to examining the evidence, if we adopt any predisposition at all” (Kindle Locations 939-940). This reminds me of Philip Johnson’s comment, “One who claims to be a skeptic of one set of beliefs is actually a true believer in another set of beliefs.” This is very true in the typical Atheist’s case. He’s already swallowed the antisupernatural bias of the Academy, believing in naturalistic evolution as the explanation for the universe, existence and everything else. Radical skepticism doesn’t go far. Even skeptics believe in something. 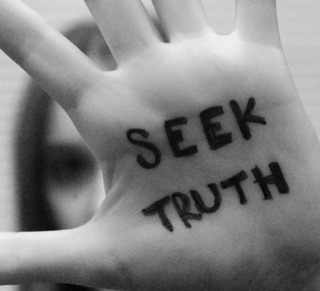 Can’t we be both cautious/skeptical and open-minded? Now, what I’m saying is hotly debated, and it’s no easy thing to develop a model for how to test whether a certain religion is true. But this is not all. There’s another way Loftus frames OTF that is even more indefensible: He assumes an agnostic position on God’s existence in the OTF. I’m sorry, but belief in God doesn’t equal religion. Belief or assumption that a god exists is totally independent of a particular faith! A simple theist/deist “outsider” to a faith who desires to search and examine that faith should not leave his belief in a God’s existence at the door. As many philosophers have argued, belief in some Deity can really be a properly basic belief, just as I believe reason exists and that I was not born as a clone in some science experiment. Many people who were not religious believe in some sort of God, at least the God of the philosophers (Aristotle, Spinoza, etc.). As John Dicksonwrites, the arguments and pointers to the existence of a Deity (Deus) are so strong, it’s a “fundamental” belief. He adds, “Where believers of the various faiths part ways is in the particularization of the Deus… Deism is common sense.” Atheists may not agree, but if we’re developing an Outsider Test for Faith that anyone can use to test a religion, this is significant. If you are a deist or theist searching various religions to discover if God has spoken or not, then prayer to God, seeking his guidance, and contemplation of what he could be like are all vitally important. I’m going to say something that Atheists and Christians should agree on: The question of God is the most important question anyone can ever think about. Atheists are obligated to agree with this statement. Otherwise, why are atheists spending their lives writing books and debating the issue? Therefore, is it not reasonable, while contemplating whether or not God exists and the nature of this God, to pray? How harmless is it to say “God, if you’re there, help me find you? Where are you?” This requires some faith, at least as much to say that if there is a benevolent God, then he will answer me if I ask him. I can be an outsider to every religion, every faith, but still believe in a Deity, because no religion has a corner on simple theism or deism. Therefore, if I step back and examine my own religion as an outsider in an attempt to be objective, I need not throw out God. If I’m justified in believing in the existence of a Deus for other philosophical and scientific reasons independent of religious dogma, then I can use prayer to this Being as part of my OTF. The idea of an OTF is a good one. But an OTF model that throws out potentially valid epistemologies is flawed. It will not lead you to Truth. And isn’t Truth the whole point? I picked up this book as soon as I saw it. 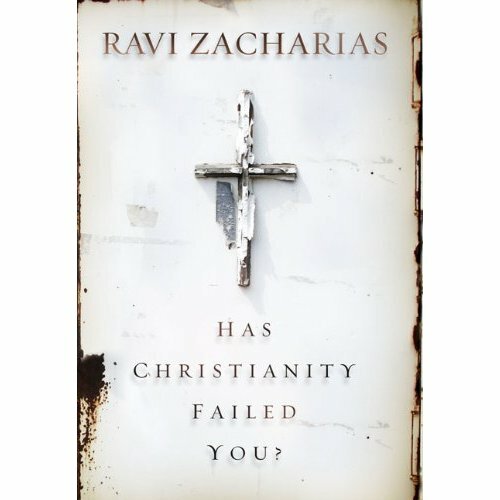 The title intrigued me, and I love Ravi Zacharias, the Indian Oxford graduate who travels as an itinerate speaker, apologist, and evangelist for Christ. Also, at several low points I’ve gotten the feeling that Christianity has failed me; and certainly many other people have left Christianity totally with some story of how inadequate this religion was in one way or another. Ravi’s aim is to discuss this question with just such people. I liked the tone of the book. Ravi is both sympathetic to the straggler and uncompromising in his convictions. I found this commendable because it is not easy to strike that balance. It is easy to try to be so sympathetic that you compromise truth to make them feel better, but this doesn’t do anybody a favour. It is also easy to say with a hard-nose “this is how it is” without any sympathy. My favorite chapters were the ones on who is Jesus, does prayer make any difference, and points of tension, which was about the tensions of life and how Christianity handles them. That chapter had a good sections on pain, loneliness, and sexuality. Ravi’s approach is to expound beautifully on what Christianity is, and how it answers our deepest needs. On the negatives side, this is not a definitive defense of the Christian faith if that’s what your looking for. Ravi speaks in generalities rather than specific details, does not have much in the way of analytic argument, and tells many stories and illustrations, or “fluff” if you’re looking for carefully crafted, to-the-point arguments. But I don’t think that was Ravi’s intention. He is basically expounding on various aspects of the Christian faith in a way that is keen to the questions of disillusioned, yet open and sensitive people. So, I think this book will only convince a certain kind of person. Someone who is already open-minded and has a keen sense of feeling, longing, and sensitivity; Who is doubting or has left the faith for emotional reasons. It definitely made a surprising impression on me that is hard to describe. Ravi’s strengths as a communicator is to show the existential strengths of Christianity, and this book was him at his best in doing so. It’s worth a read! “Not only did he [Jesus] love every human being, especially the downtrodden; the core of his message is that he came to embody the rejection and suffering of every person who has ever lived.” (p 38). “We resist pain because we think of the ‘now’ rather than of life’s ultimate purpose; Jesus endured pain in order to restore ultimate purpose to us and to our existence.” (p 110). “To all the searches of men and women, boys and girls, kinds and emperors, cities and realms for another way to assuage their thirst for the eternal by any means other than what God has provided – digging their own streams or denying the existence of eternity or giving themselves full autonomy – the Lion of the tribe of Judah revealed in the Holy Scriptures of the Bible says, ‘There is no other stream. '” (p 146). “The paramount need in the church today and in the individual Christian is the indwelling presence of God.” (p 156).